Indonesian electricity monopoly PLN has promised price cuts for subscribers as of Saturday, citing improved operational efficiency and low oil prices. 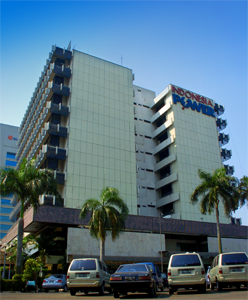 The state-owned company has set its electricity price for households and small and medium businesses at Rp 1,409.16 (10.22 US cents) per kilowatt-house, down 6.6 percent from the current rate of Rp 1,509.38 per kWh, according to Benny Marbun, PLN’s commercial division head. State-run construction company Wijaya Karya (Wika) is moving to boost its capital expenditure (capex) by nearly 50 percent from this year’s initial target in the belief that infrastructure projects, particularly power plant projects, will speed up next year after progressing slowly throughout 2015. President Joko Widodo inaugurated a solar-powered electricity-generating plant in the village of Oeipuah, Central Kupang, East Nusa Tenggara, on Sunday. “This is the first biggest capacity solar power plant made in Indonesia,” he said after dedicating the 5 MW power project carried out by state-owned company PT LEN. The president said a similar power plant with an equal ore even bigger capacity would also be carried out in other parts of the Indonesian eastern region. State utility company PLN week signed earlier this week power purchase agreements and construction contracts with independent producers, paving the way to realize a 35,000-megawatt capacity goal set by the government. As PLN holds monopoly rights in distributing electricity in Indonesia, all independent power producers need to secure a state utility purchasing contract before they can build a power plant. The contracts are worth around $20 billion, PLN president director Sofyan Basir said in a recent statement. Indonesia is the third-largest geothermal energy generator in the world. Tenaris invited geothermal energy operators to the Geothermal Day event in Cilegon on November 5. Participants were introduced to Tenaris’s consolidated tubular solutions specifically designed to address the challenges in geothermal developments with high reliability and cost efficiency. The Energy and Mineral Resources Minister Sudirman Said has blamed unfavorable regulations for being the biggest obstacle to the development of clean energy. Nearly all regulations in the energy sector needed to be adjusted to support clean energy, Sudirman said. Indonesia plans to spur investment in clean energy with the Bali Clean Energy Forum, to be held in February next year. “Indonesia will encourage global partnerships on renewable energy funding, technology transfer and human-resources assistance. The three pillars have to be supported by regulatory reform regarding tariffs, permits and the energy mix,” he said during a press conference in Jakarta on Tuesday. State-owned electricity monopoly PLN and Pertamina Geothermal Energy have reached an impasse in renewing their power purchase deal for electricity from PGE’s Kamojang and Lahendong plants. Combined, the 235-megawatt Kamojang plant, in West Java, and the 60MW Lahendong facility, in North Sulawesi, account for a fifth of Indonesia’s current geothermal production, which PGE sells to PLN at 6.2 and 9.7 cents per kilowatt-hour, respectively.